Tags: Black, Evening Dresses, Frock, Large Flair, Party, Straight Trouser. 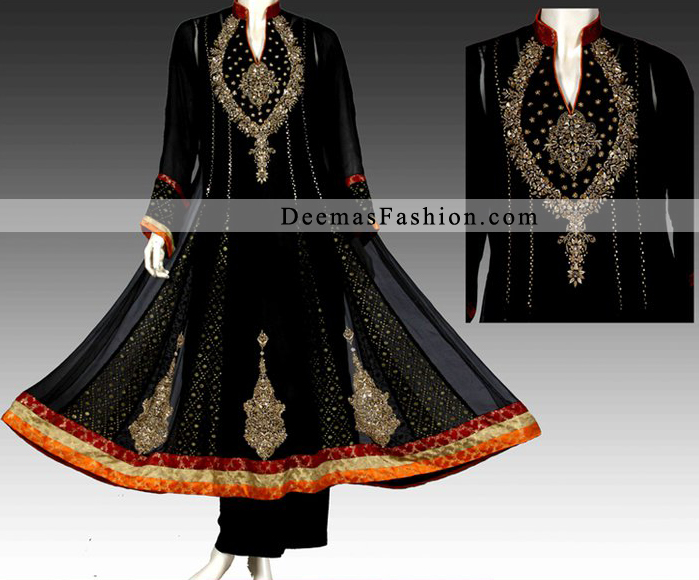 Black pure chiffon and banarsi paneled frock embellished with neckline and large motifs on hemline. Finished with different banarsi fabrics.